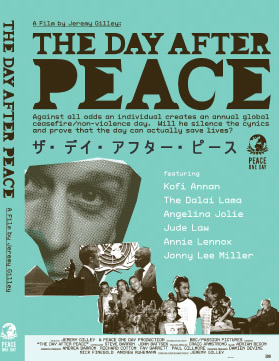 ‘The Day After Peace’ charts the remarkable 10-year journey of award-winning filmmaker Jeremy Gilley to establish an annual Peace Day on September 21. The camera follows Gilley as he galvanises the countries of the world to recognize an official day of ceasefire and non-violence. But even after the member states of the UN unanimously adopt Peace Day, the struggle isn’t over. As the years pass, there’s not a single ceasefire. The voices of the cynics are growing louder ? and now Gilley’s non-profit organization, Peace One Day, is in dire financial straits. But he can’t let it fail. 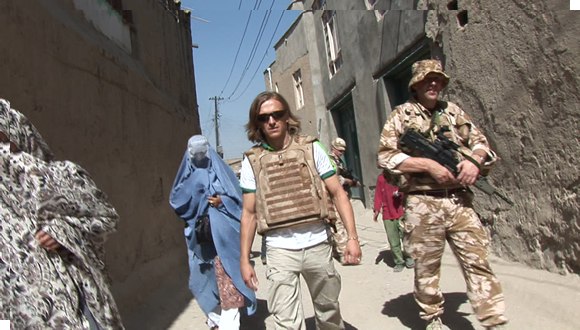 The film’s breathtaking conclusion finds Gilley joined by Jude Law in Afghanistan, attempting to spearhead a massive vaccination against polio on Peace Day. Will peace prevail? Will lives be saved? Or were the cynics right? The Day After Peace is a moving testament to the power of an individual and the perseverance of the human spirit. Peace One Day looks to engage all sectors of society, including governments, organisations of the United Nations system, regional and non-governmental organisations and individuals in observance of September 21, through the practical manifestation of non-violence and ceasefire in accordance with UN GA Resolution 55/282, and encourage action on Peace Day that creates a united and sustainable world.